One year manufacturer's warranty PLUS one year extended warranty. NOTE: For home use only. These machines are hand crafted and may have slight indentations or surface "blemishes" that add to uniqueness of the machine. Please also review Notes and Warning section. The Elektra Micro Casa Leva, sometimes called the Micro Casa Lever, is an absolutely gorgeous espresso machine that can produce exceptional espresso. 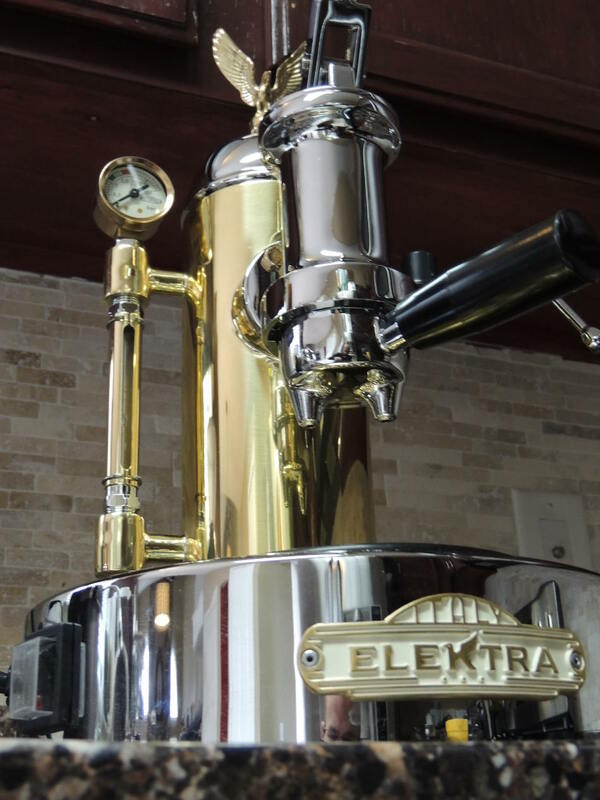 The lever operated machine is spring assisted, providing consistent pump pressure during each pull of the lever, making the process of making espresso with a lever machine an easier process to master. To operate this machine, the user raises the lever to the up position; the lever is then slowly released. A spring in the piston pushes the lever, which in turn pushes water through the ground espresso in the portafilter. The spring assisted extraction provides pressure consistently. For two shot extraction, just push the lever back down when the lever has reached the halfway point of the first upswing. Besides making great espresso, another nice feature of a lever operated is it’s quiet operation. 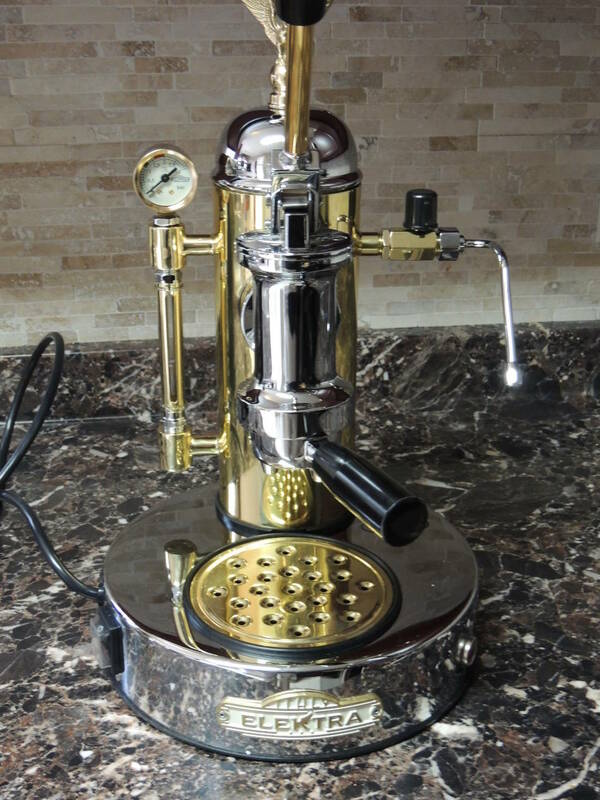 Espresso machines in a similar range and class that aren’t lever espresso machines typically have vibratory pumps that are much, much louder. There are three beautiful variations of the Elektra Micro Casa Lever – Chrome, Chrome and Brass, and Copper and Brass. 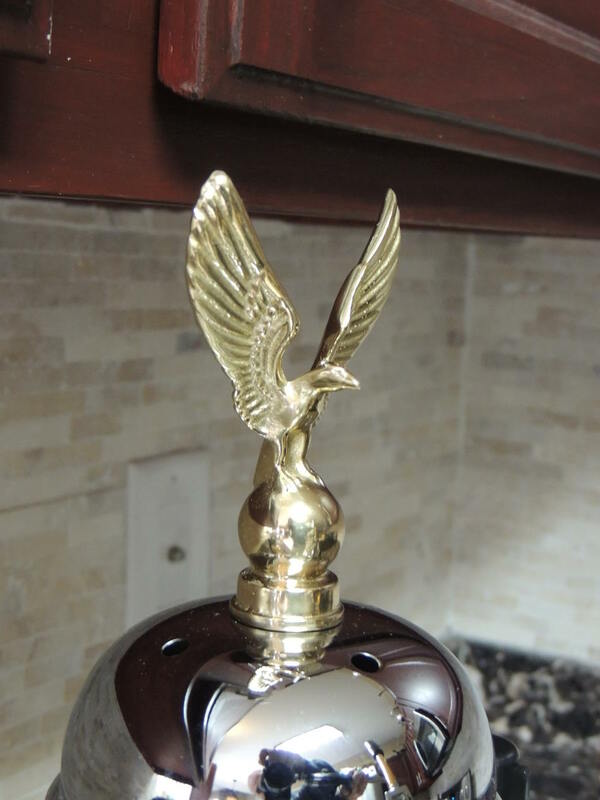 All three of them have gorgeous polished finish and are topped with a hand crafted American Eagle. All variations have the same functionality and specifications. They stand 19 inches high and have a diameter of 10 inches. To provide easy monitoring of water level in the boiler, the machine has a clear sight glass. For boiler pressure monitoring, there is an easy to read pressure gauge, taking the guesswork out of knowing the right time to pull the lever. The brass boiler provides great temperature stability and long term durability. 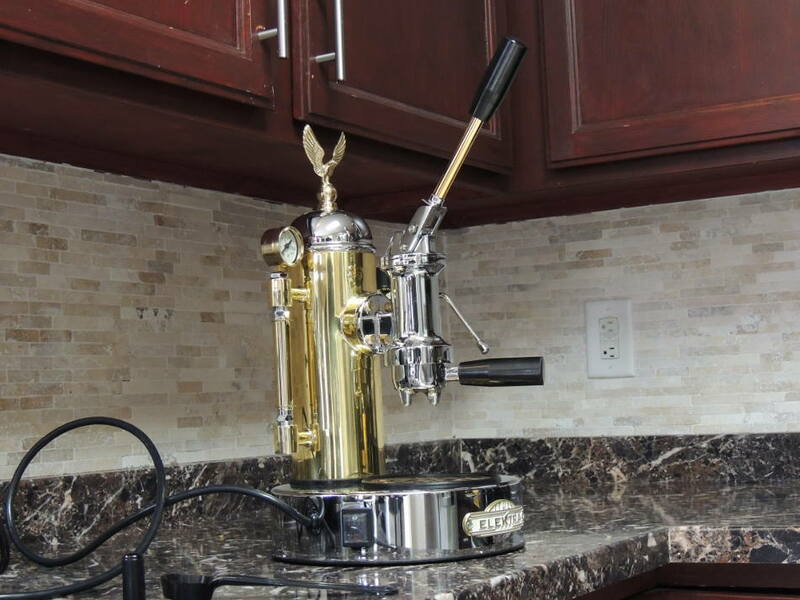 Brass is one of the best materials for espresso machine boilers because of this very reason. 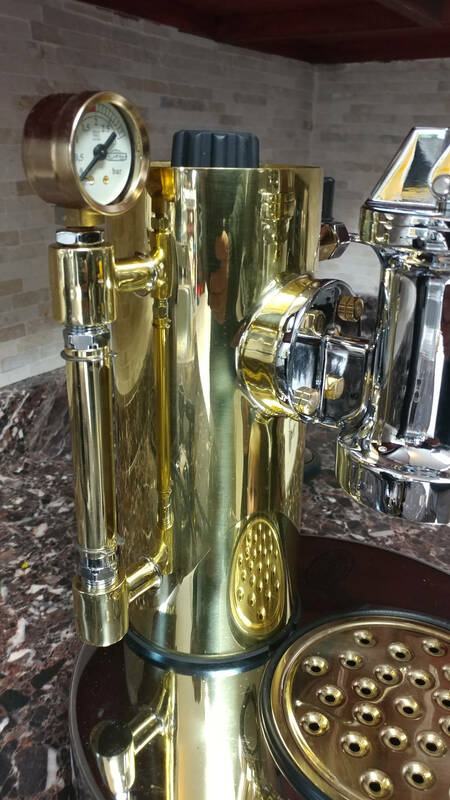 It is a dual purpose boiler, providing heated water for espresso extraction, and great dry steam for making drinks like lattes and cappuccinos. 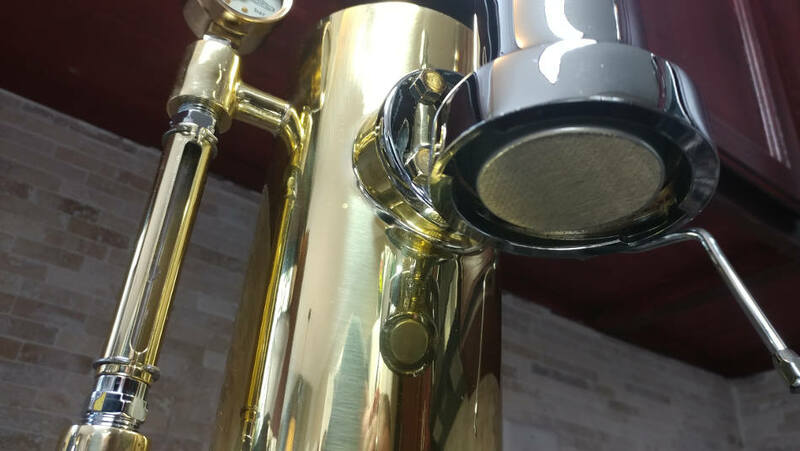 The boiler is heated with a 800 watt heating element and is equipped with a water pressure regulator that keeps that water temperature consistent. To protect the machine from damage it has a thermostat that can help prevent overheating. This doesn’t reduce the importance of monitoring your machines water level – if there isn’t adequate water in the machine while it’s turned on, the heating element and other components can be quickly destroyed! This is true with all espresso machines. The only assembly required is the attachment of the steam wand. The machine is designed for home use, and warranty will be void if used for commercial purposes. 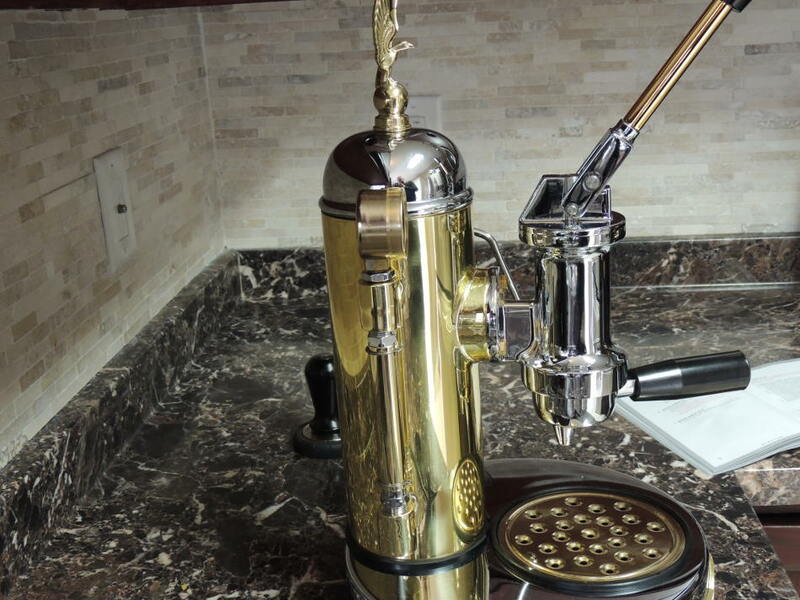 Made in Italy, the espresso machine capital of the world. History and Out of the Box – Includes details on the out of the box experience with the machine, as well as a review of materials used to build the machine, product specifications, history, etc. Operation and maintenance – talks about machine pros and cons, things that are easy to maintain and things that are not so easy to maintain. It also talks about how to use the machine and a variety of tips and tricks. Performance – Talks about machine performance and how it compares to expectations. Comparisons – Compares the Micro Casa Leva with other similar related espresso machines, including the La Pavoni Professional. Conclusions – Read this section for a review overview, recommendations, and ratings. Two year parts only warranty limited to manufacturers defects. Changes in metal color over time is natural is not covered by warranty. Damage to the heating element is not covered by warranty as this is always related to running the machine without water. Always use soft water in this machine and all other espresso machines. 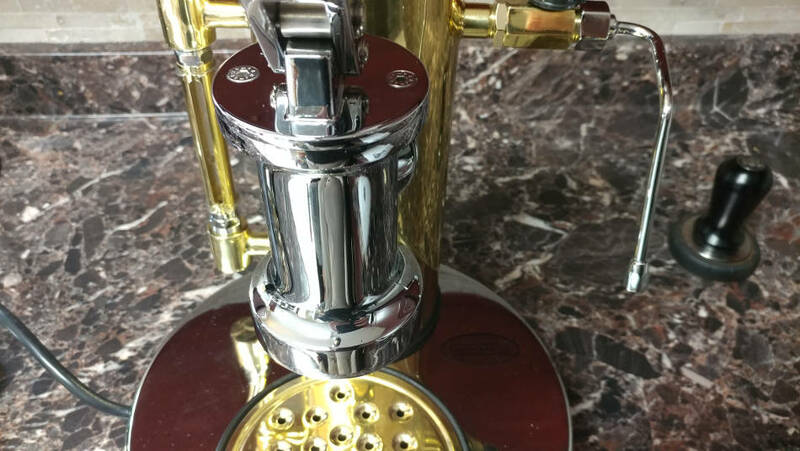 Hard water can be very damaging to espresso machines as it causes minerals to build up, causing component malfunction. We do not encourage the use of any descaler solutions with this machine as it can cause damage to the machine. 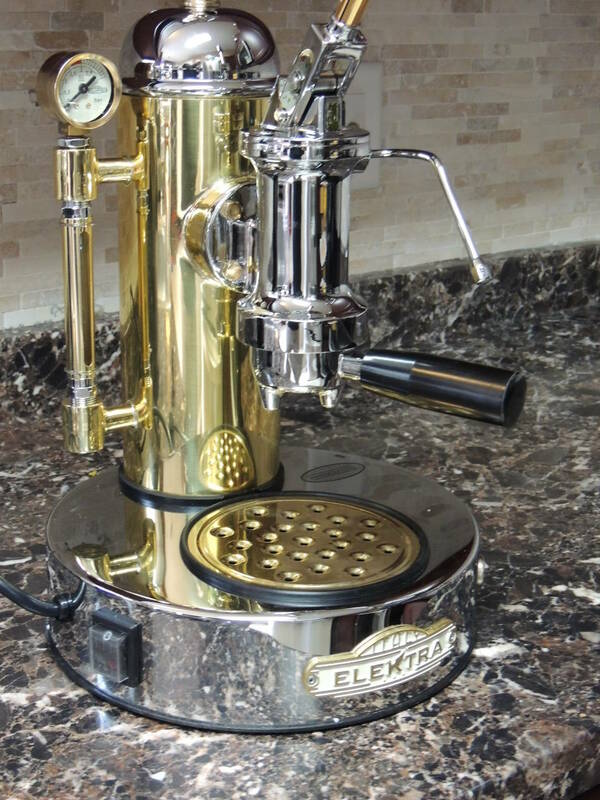 Elektra is a company that makes espresso machines that are considered by many to be the most beautiful in the world. 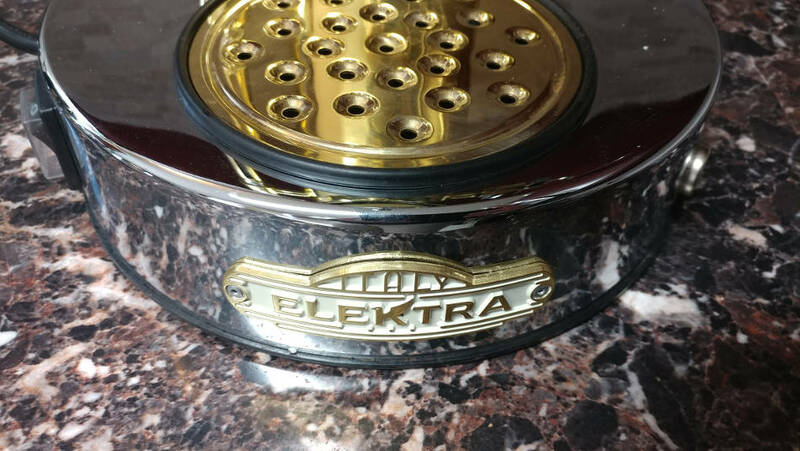 Along with being very beautiful, many users also consider the espresso that Elektra machines make to be the best they’ve ever had. 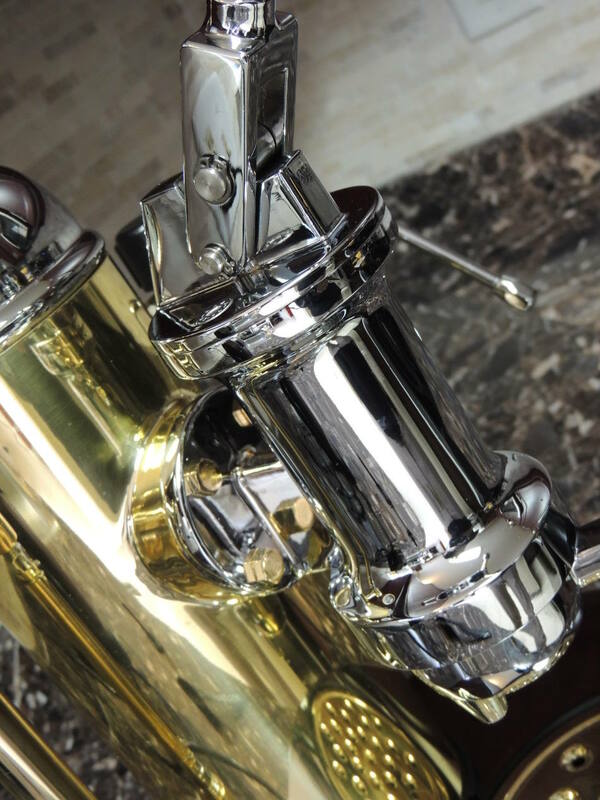 The company was founded over 50 years ago with the goal of producing superior quality espresso machines with gorgeous aesthetics. They believe in adding a unique touch to each machine they make, for originality and optimal performance. For this reason the company hasn’t outsourced production to a mass manufacturer, rather machines are made one by one at the Elektra manufacturing facilities. The facility is run by expert artisans and technicians who make sure every machine is produced under the highest standards possible. Before a machine is shipped, the fully assembled machine is tested non-stop for 48 hours. If any defects show up during this time, they are resolved, or the machine isn’t shipped. 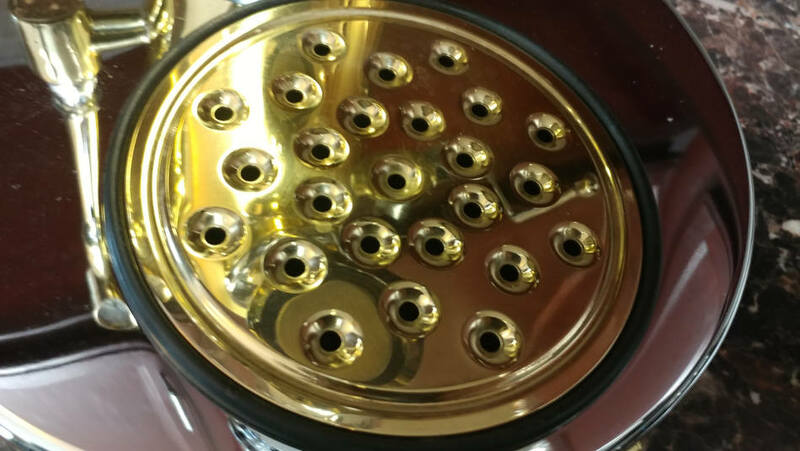 From initial phases of product development to packaging, all aspects are reviewed for quality control, under some of the most rigorous standards of any manufacturer. So, when you see signs that your machine may have been used to produce coffee, it has been and that’s something to be happy for. Signs of use doesn’t mean it was a returned product, it means you have a well-tested machine. Video: Elektra Microcasa a Leva or La Pavoni Professional - Which is Better? It is extremely important to run the a leva and Semiautomatica machines with water at least 25% full in the sight glass. Please be certain to use bottled or filtered water only - no distilled, tap or "hard water". Failing to do so can cause significant damage to the machine. It is the responsibility of the customer to take these precautions. Water related damage is not covered by warranty. Best machine for home use at any price. This machine, plus a good grinder, plus access to quality beans, equals the best cup of java you can have. There is a learning curve that has to be mastered. The grind has to be right, the tamp needs mastering and the beans need to be chosen carefully. However, you will find the reward is worth the effort. The machine is capable of producing world class coffee, if you are willing to put forth the effort to learn.